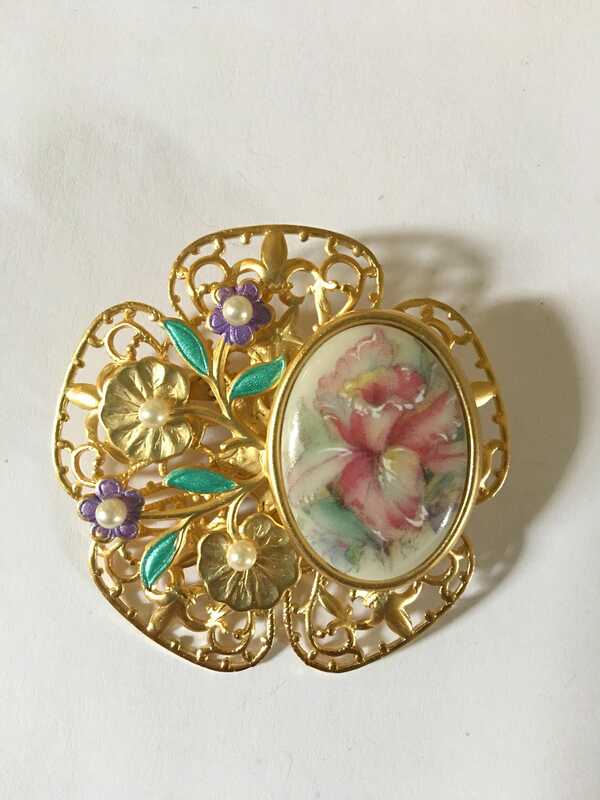 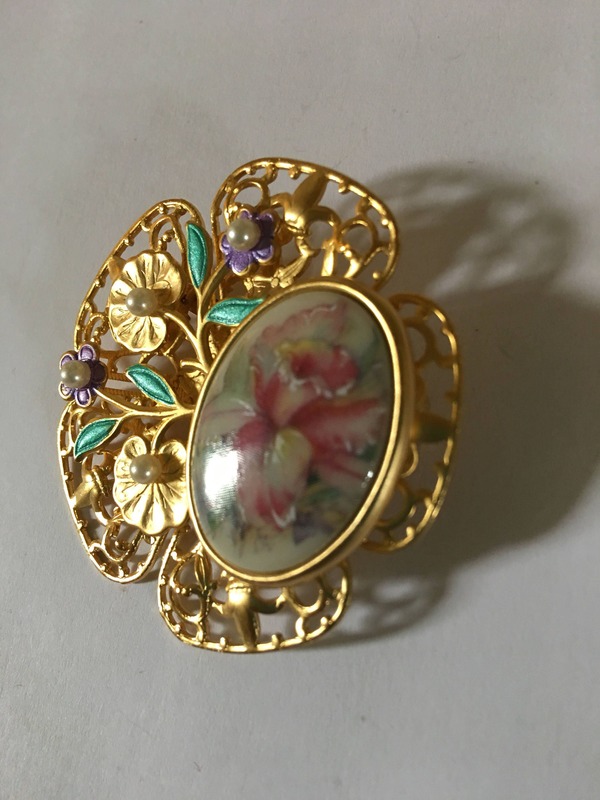 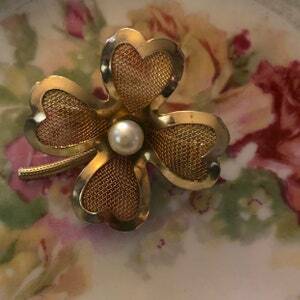 Stunning Vintage Brooch with faux pearls, hand painted irises and gold filagree. 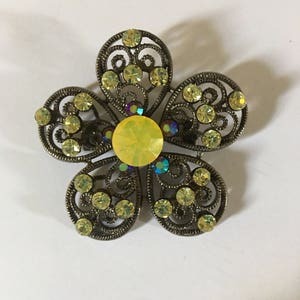 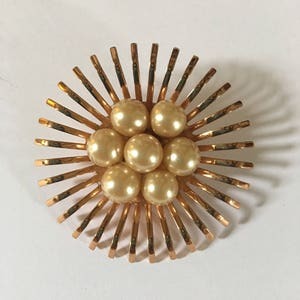 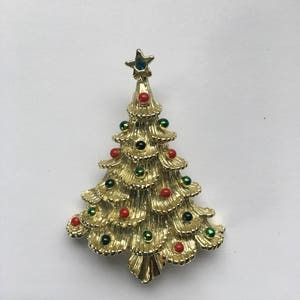 This stunning brooch is absolutely breathtaking. 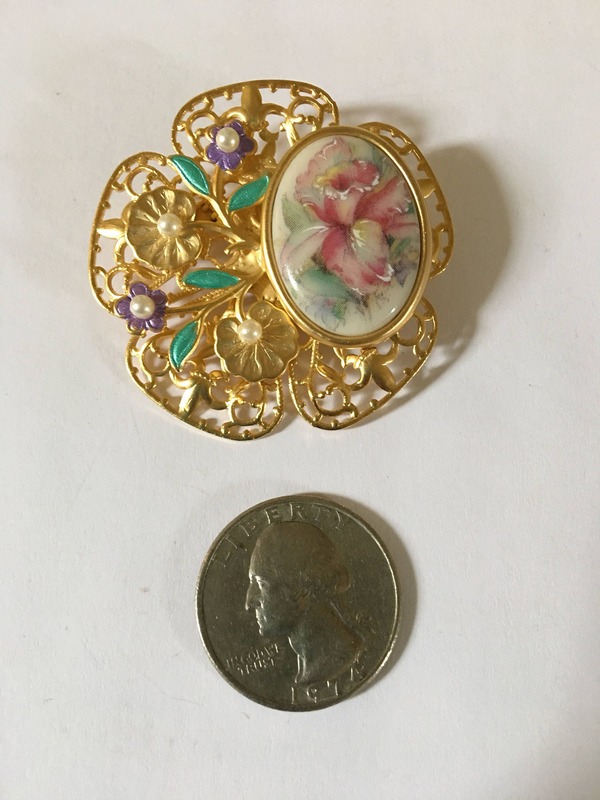 The detail is clearly in this piece. 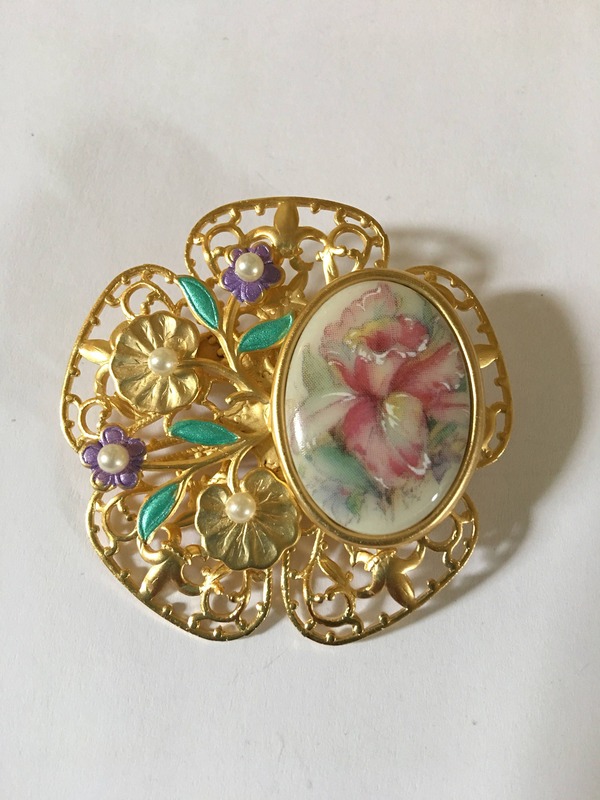 With hand painted flowers, a hand painted iris and faux pearls it is a lovely compliment for any occasion! 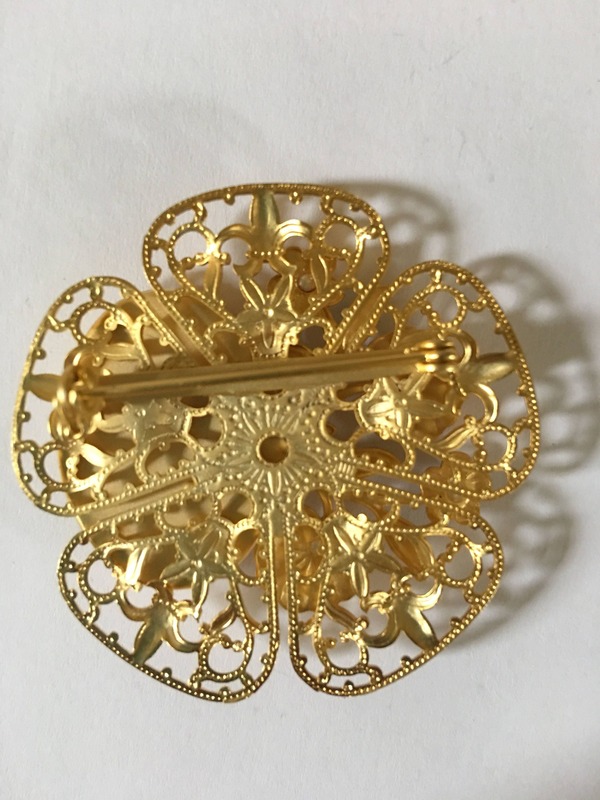 Made with extreme detail and time, this handsome brooch will not disappoint!